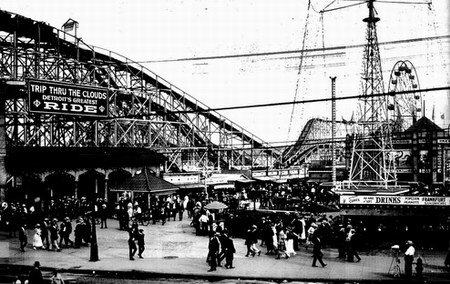 Someone might want to check the land history on this park - which was originally named Luna Park. 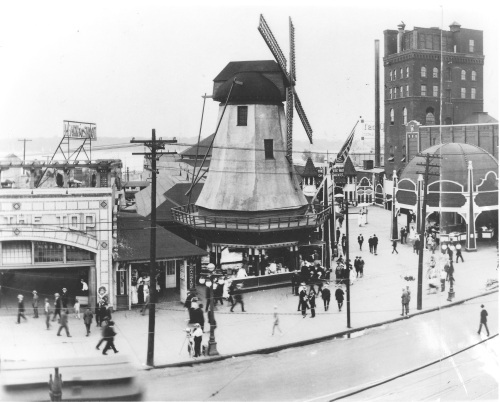 It was located on/next to the Philip Kling Brewing Co. and first managed and run by the Kling family. 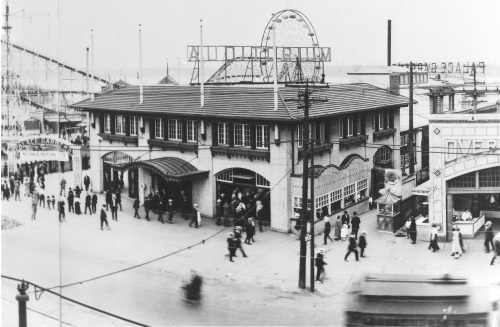 When the City took the property in 1927/28, the monies went to the Kling family and several vendors. 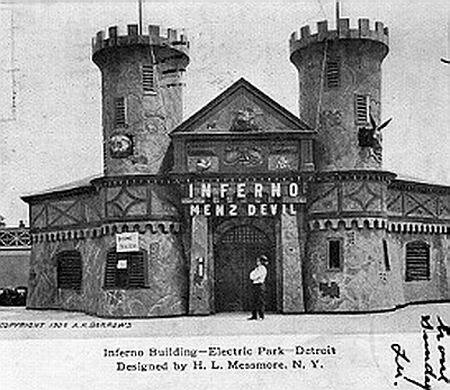 The Kling family and brewery connection are always omitted when the history of Electric Park is discussed. 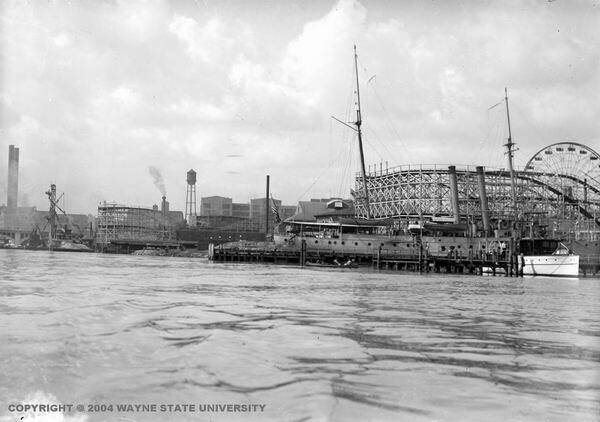 Philip Kling was one of Detroit''s early prominent citizens!. 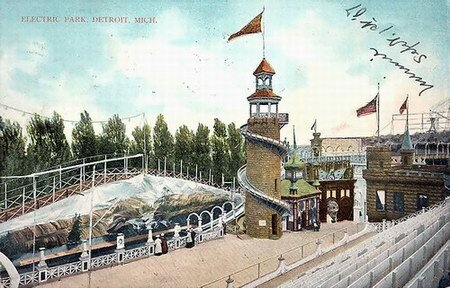 Electric Park, Detroits first mammoth amusement enterprise, opened May 26, 1906, near the Belle Isle Bridge approach. 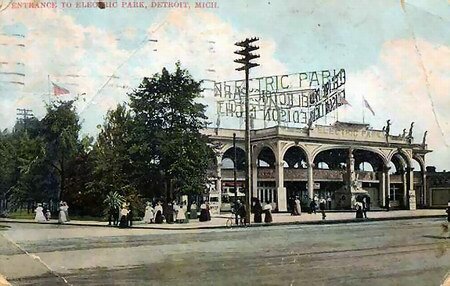 The Free Press heralded the opening of the park, Detroits new Electric Park will be one of the largest in the world. 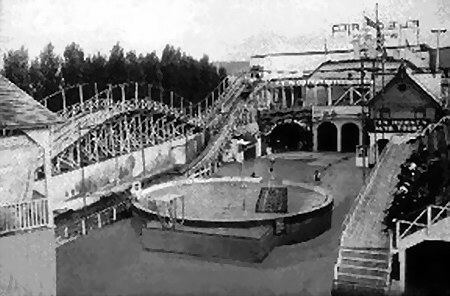 Rome, with its seven hills will be a poor second to the roller coaster which is to be installed on the western site of the park. Here will be found l4 hills and any amount of hilarious fun my be derived within the enclosure. 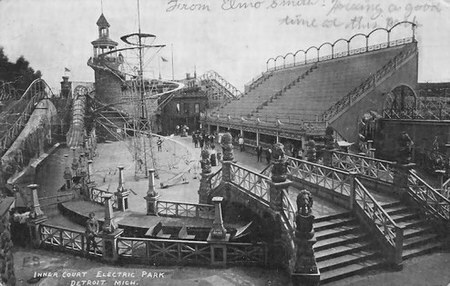 Owned by the Arthur Gaulker family, Electric Park, before it closed in 1928, went through many name changes and lengthy court battles over property rights. 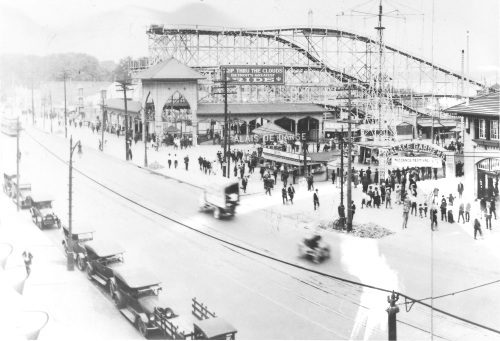 Some oldtimers remember the parks nicknames: Pikes Peak, Lunar Park, Riverside or Granada. 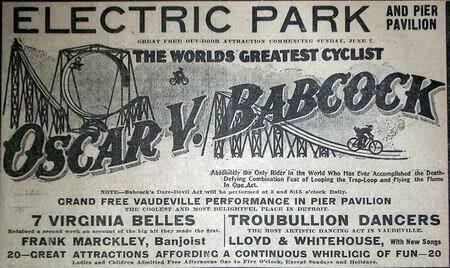 Many of these names came from concessions located along the riverfront grounds. 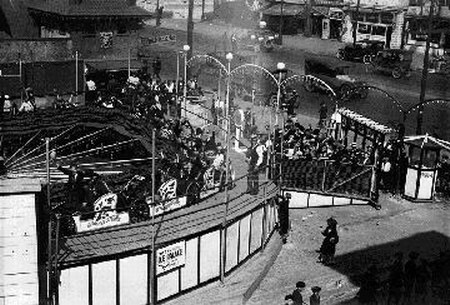 According to a News article on the Grand Opening, the first attraction offered will be the Great Chick, tramp cyclist and comedian. Chick is well known as the funniest man on wheels. Mlle. Patrice, a well-known and clever performer on the flying trapeze and Spanish web, divides first place with Chick as the headline attraction. Mademoiselles work is said to be a finished and graceful performance. Her dizzy descent from a high platform via the hair raising Spanish Web is a thriller. Music lovers will welcome the return of Miss Nellie Turnbull, soprano, who tours with the Rosati Royal Italian Band. The Palais de Danse ballroom extended out over the water and was a favorite of many who came to dance to the music of their favorite bands. 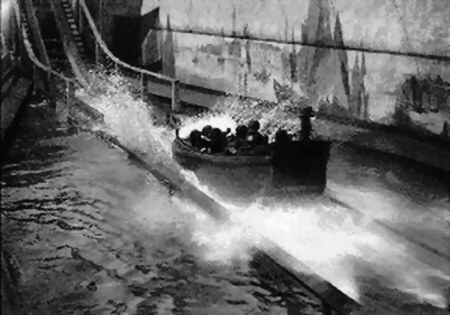 A favorite attraction was a scale model of the horrible flood of 1889 in Johnstown in Pennsylvania that killed thousands. 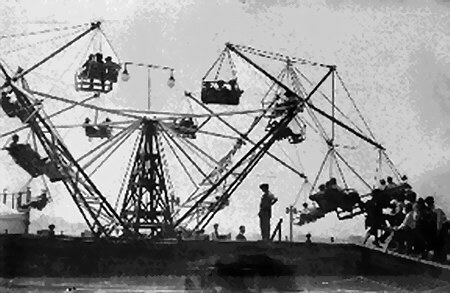 Other attractions included aerial and high-wire acts. 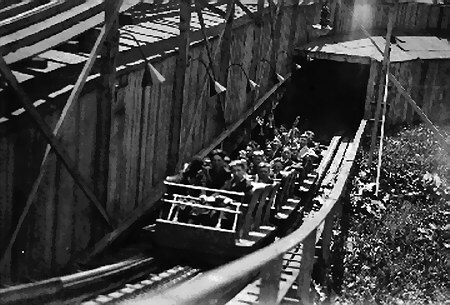 The Big Dipper, the Bobs, and the Dare Devil were roller coasters for the brave. 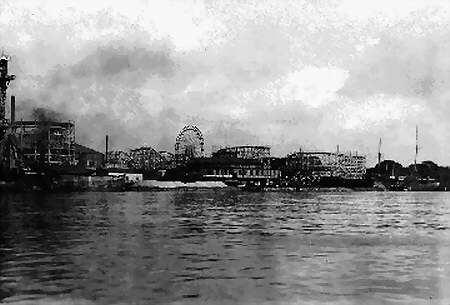 Queen of the ballrooms was the Palais de Danse, built over the water by Charles Rosenzweig in l9l2. 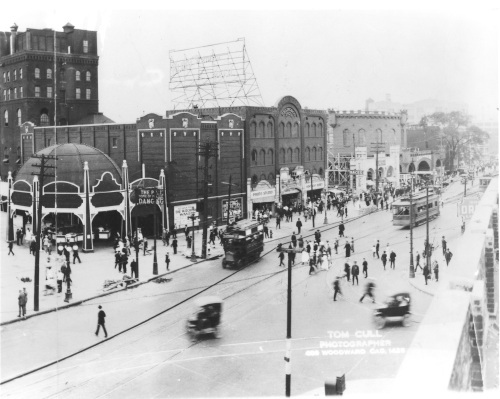 Memories of its dance floor still bring nostalgic twinges to those who flocked to The Palais. Famous bands like Sousas and Creatores came to play there. 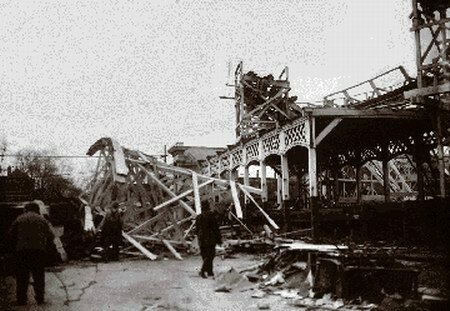 Palace Gardens, another dance hall associated with the amuse ment park, burned down in May 1911 at a loss of $130,000. 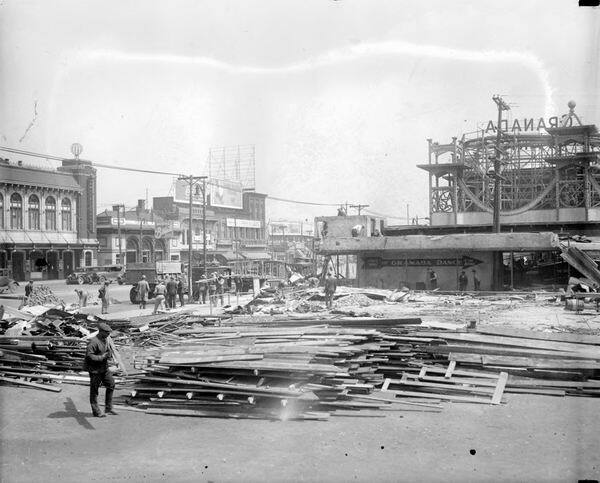 In February 1921, the Coliseum and Pier, the largest concession on the riverfront was destroyed by fire. 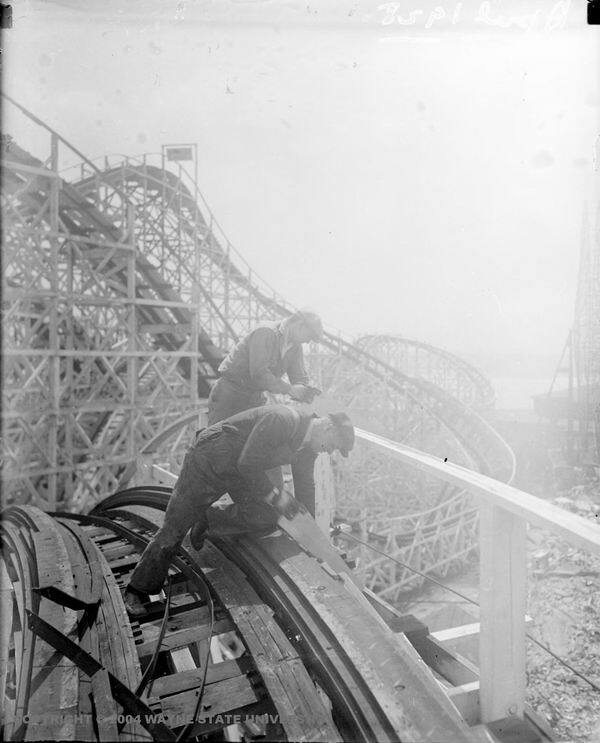 In 1927, after long and bitter legal battles, Electric Parks amusement centers were condemned by the city as eyesores. 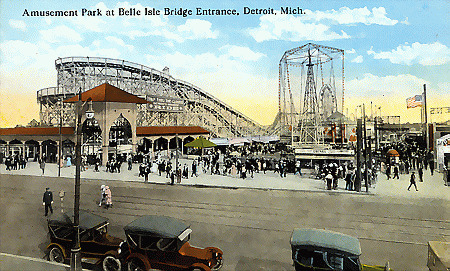 They were razed in 1928 to make way for a public park, considered to be a more suitable approach to Belle Isle. 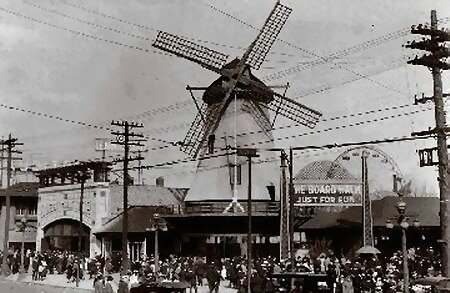 The area was officially renamed Gabriel Richard Park in 1936. 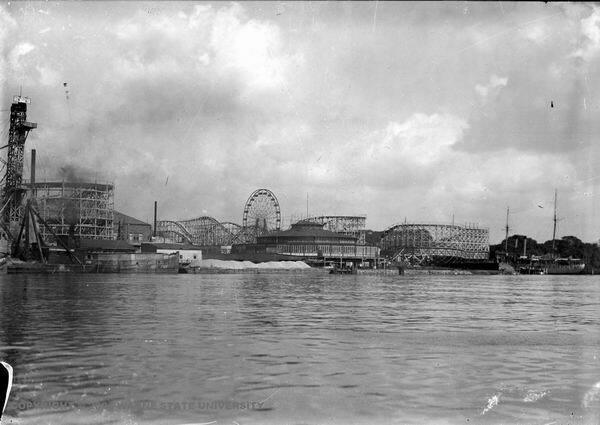 As the wreckers ball felled the riverfront attraction, another park was being erected on the Grand River. 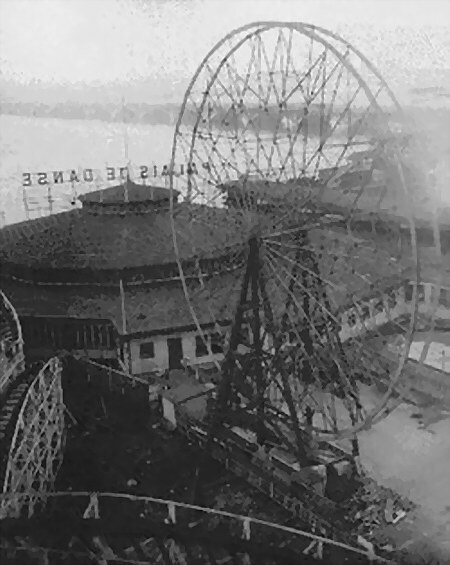 Edgewater Park! During my teenage summers I would get up at 5am on Saturdays and start washing cars. 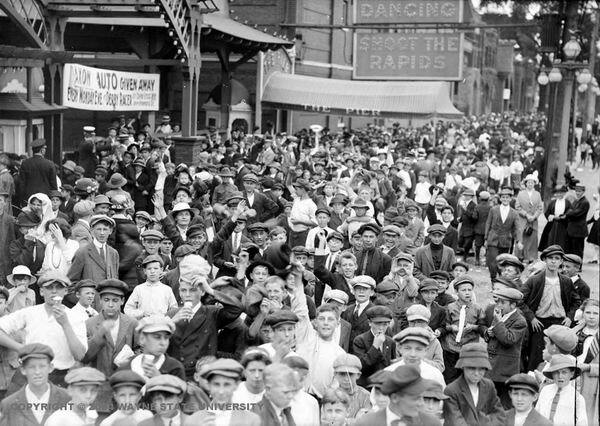 anyones cars: my mothers, my fathers, my brothers, and any neighbors who were willing to pay, said Laurie J.
Marzejka. 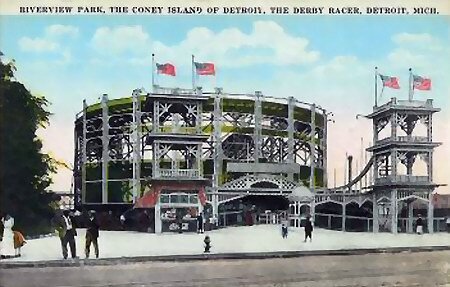 When I had earned enough I would shower, change into a shirt, shorts, sandals, and shades and head-out to Edgewater Park. 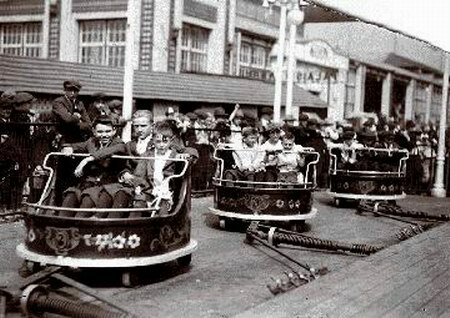 I would spend the entire day with friends enjoying sunshine, snowcones, and slow-poke suckers all amid screams of delight.